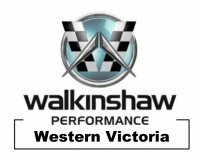 Walkinshaw Exhaust Packages… Great V8 sound and performance. Walkinshaw Performance Products Exhaust are available in both 2.5″ and 3” stainless Cat back systems. WPP sports mufflers are hi-flow and give you that real V8 rumble and include our unique machined billet alloy exhaust tips. Retail prices to suit sedans including fitting start from $2,303.00, plus freight if applicable. Black Billet tips are available on mufflers – ad $20.00 retail.